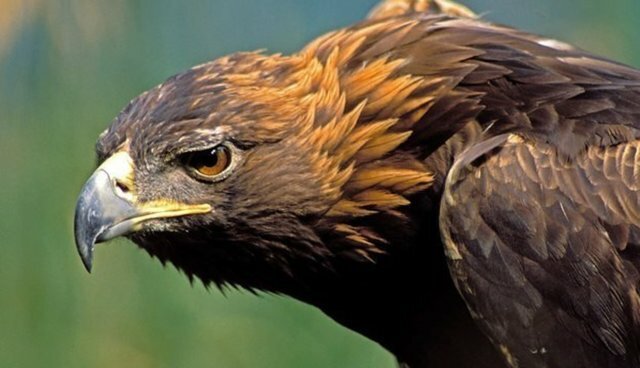 A Golden Eagle who has inhabited Riggendale Valley, near the Lake District, England, since 2002 is looking for a mate - 10 years after his last one disappeared. The eagle, who is believed to be aged 15-17 (this is considered "middle aged" - his predecessor died aged 32, though the oldest reported eagle was aged 46), has been spotted "sky dancing" in the hopes of attracting a potential mate. It is believed that his best chance of finding a mate is if he attracts a female "drifting down from Southern Scotland". Dave Shackleton, an RSPB warden, also said that "He will perch high up in a prominent area in the valley and launch himself and do a series of stoops and rises." 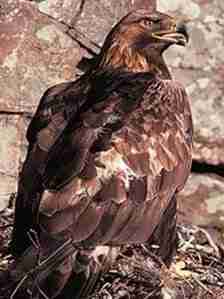 Currently, there are about 450 pairs of Golden Eagles in the UK, mainly located in Scotland. However, due to a long period of rainy, cold springs (believed to hamper parent eagle's ability to hunt) there was reportedly a 25% drop in fledgling pairs being produced (the average number of fledglings is 1.1, though this can vary greatly depending on region). It is safe to say that we all hope this eagle finds love after 10 years of waiting! See the RSPB and all the work they do here (link will open in new tab). To read more on the story, see here.